We are pleased to announce that Kevin Schweitzer, President of Sea Crest Holding Group and a well-known Wall Street trader, is now the President and sole owner of the newly revamped Vintage Rockefeller Cigar Group, effective immediately. Kevin has been president of Sea Crest Holding Group since 2009. An adventurer by nature, Mr. Schweitzer is the type of executive who ‘thrives under pressure’; he has travelled to several countries deemed ‘dangerous’ and ‘high-risk’ to pursue and broker international sales of gold, silver and other highly valuable and rare precious minerals. "I am extremely excited taking over Vintage Rockefeller Cigar Group and I look forward to guiding a company with a solid history to a new era of success. Right now, my vision is to grow the brand throughout the U.S. and eventually move into shepherding the company internationally. We really want to make a cigar that not only everyone can trust, but one that can be enjoyed across all walks of life. Everyone should feel like a Rockefeller!" Originally inspired by the era known as the age of American Enterprise, the creation of each Rock-A-Feller® cigar captures a rich American history of both men and women who prospered during the time of the Great Depression. Their entrepreneurial spirit made the United States the foremost economy of the 20th century. "In my first few weeks with the company, I met with our Master blenders in both Nicaragua and the Dominican Republic. 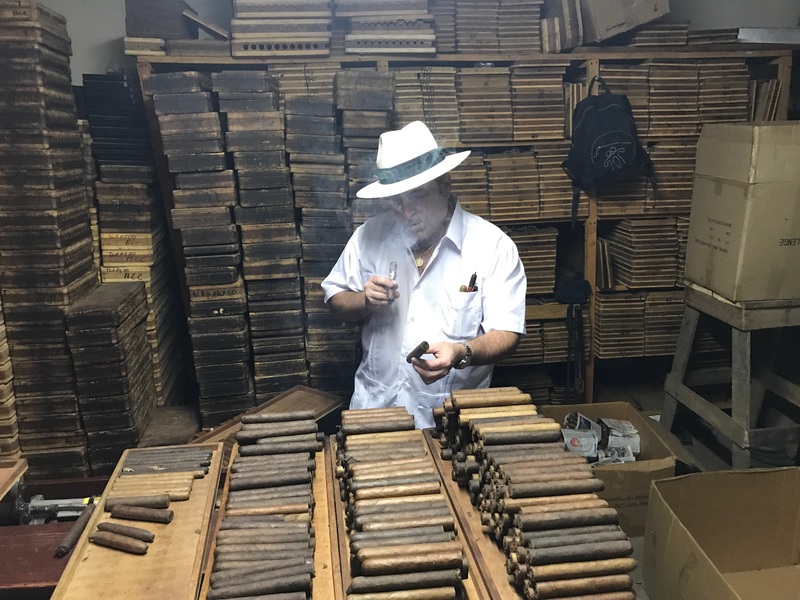 In Nicaragua, I rediscovered my love of boutique cigars when I first lit up a blend that had been shelved years ago and laid down to age. This was a blend that had been made years ago in the early days of the company, a ‘private blend’ released to a select few. At that moment I knew that it needed to be shared with the rest of the world. At that moment I knew what needed to be done." "I have traveled across America introducing myself as the new President of Vintage Rockefeller Cigars, and the feedback has been extremely positive! We have introduced our (until recently) private blend of Nicaraguan tobaccos to a handful of cigar lovers who have all commented on the quality and exceptional flavor. It really is an exciting time to be involved in the cigar industry!" Schweitzer has made it clear that he wants to erase the stigma that cigars can only be enjoyed by retirees or older gentlemen. Rock-A-Feller® cigars are meant to not only be smoked by baby boomers, but also to the massive and discerning group of millennial demographics who are primed to discover the joy of smoking a great cigar and the natural camaraderie that cigar smokers receive worldwide. If you are a fan of medium-bodied cigar blends, then this is the stick for you. This super limited box pressed cigar from Rock-A-Feller features a Mexican San Andreas wrapper, Ecuadorian Habano binder and a blend of filler from three regions of Nicaragua; Jalapa, Esteli, and Ometepe.